The tension between free speech and social stability has been a central concern throughout American history. In the 1960s that concern reached a fever pitch with the anti-Vietnam War movement. When anti-war sentiment “invaded” American schools, official resolve to retain order in the classroom vied with the rights of students to speak freely. A key event in that face-off was the Supreme Court decision in Tinker v. Des Moines. In 1965, five public school students in Des Moines-including John Tinker, a Methodist minister’s son—protested the Vietnam War by wearing black armbands in defiance of school policy. Suspended on disciplinary grounds that were upheld in federal court, the students took their case to the Supreme Court, arguing that they had been denied their right of freedom of expression under the First Amendment. Ruling in their favor, the Court determined that armbands did not constitute a sufficient reason to abridge free speech—a decision which helped provide a legal foundation for subsequent anti-war protests. John Johnson now offers a detailed account of Tinker that captures the personal struggle of the litigants and places this seminal constitutional controversy in the legal and historical context of the 1960s. In this highly readable book, he shows that the case is important for its divergent perspectives on the limits of free speech and explains how the majority and dissenting Court opinions mirrored contemporary attitudes toward the permissible limits of public protest. As the most important student rights case ever to reach the Supreme Court, Tinker raises important issues regarding First Amendment freedoms and is a strong precedent for both the rights of public school students and legitimate civil disobedience. 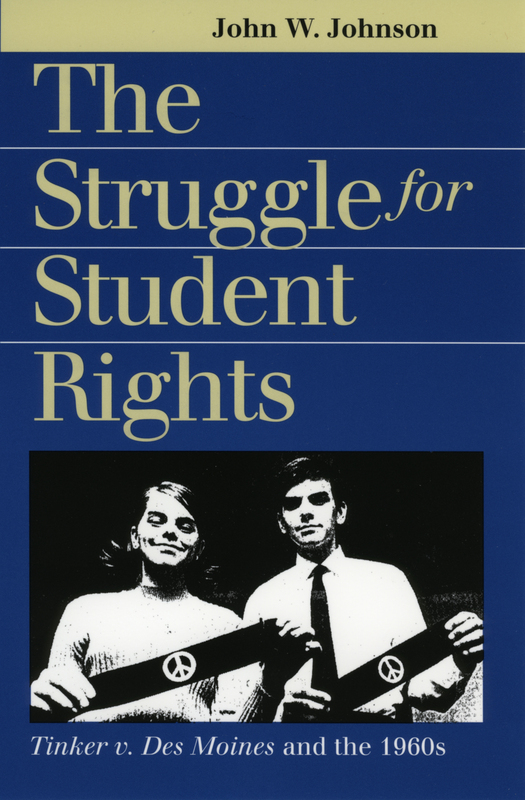 The Struggle for Student Rights contains previously unpublished information and insights on this well-known case and provides a fascinating legal window on a turbulent era. With federal and state courts now considering the limits of speech and symbolic expressions in our schools, it makes a significant contribution to understanding the principles that are at stake. John W. Johnson is professor of history and department chair at the University of Northern Iowa. He is the author of Historic U.S. Court Cases, 1690-1990: An Encyclopedia and other works.